Oh winter, aren’t you a generous soul this year? You’ve given me not one, not two, but 5 colds so far! Maybe more. I’ve lost count. And yes, as a former nursing student, I know that you don’t actually catch a cold from being in the cold. You get it from a virus, end of story. Still, you’re more likely to catch one in the winter because we spend so much time all squished together. While most of my colds consist of a super stuffy nose and ear ache (what’s up with those? I never had them as a kid? ), my latest brought a friend to the party: a scratchy throat. Not a sore throat, mind you. Just a weird scratchy feeling. The kind that makes you have to clear your throat by doing that horrible murderous goose sound. You know, the one that causes your dog to bark because he thinks said murderous goose has broken in to kill the family. Geese are creepy. Thankfully, I received a nice package of Pine Bros Softish Throat Drops for review just in time to help with my scratchy throat problem. Of course, any time this winter would be “just in time,” as I can’t seem to kick this latest cold. I remember Pine Brothers from when I was a kid. They were my favorite because they were squishy. While I can appreciate a variety of throat lozenges now (and really, does anyone else think that should be spelled “lozengers”? ), as a child I ONLY wanted the squishy ones. Fortunately, Pine Brothers are safe for kids ages 3 and up, right? Back then, they came in a little cardboard box. Now they come in either a bag or a puck. I love the puck! It fits perfectly into my purse, coat pocket, glove box or anywhere else that I need to stash it. Pine Bros has a history that goes back even further than my childhood (I’m not THAT old!). In fact, it dates back to a time when the population of America was just a smidge over that of the current population of California (39 million ,according to Bing search results). Herman Pine was a candy maker. One day, he mixed together plant glycerin and gum acacia in an attempt to soothe a sore throat. When it worked, he added some natural flavorings and a softish soothing throat drop was born! It’s a bit more involved than that, of course, but you get the gist. 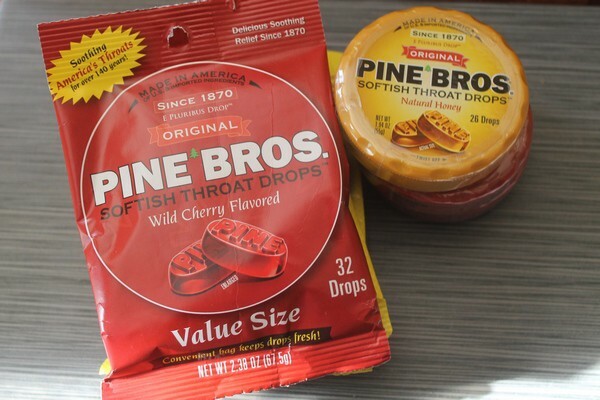 The really cool thing is, all these years later, Pine Bros is still making their throat drops the same way. The natural flavorings may change, but the base recipe remains. Why mess with a good thing, right? Pine Brothers still has the Cherry, Licorice and Natural Honey. Now they’ve introduced a new flavor: citrus lemon! Yum! Kind of like a warm cup of lemon tea, right? That’s kind of what these are, except squishy! Tea is squishy I suppose, but you can’t really put it in your pocket. 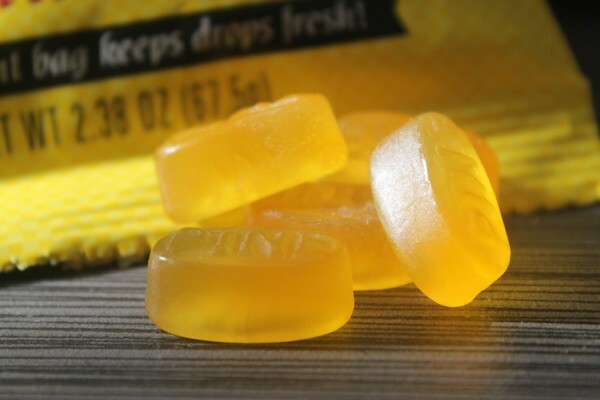 The point is, these are delicious and they go to work quickly, so you don’t have to walk around with a scratchy throat! 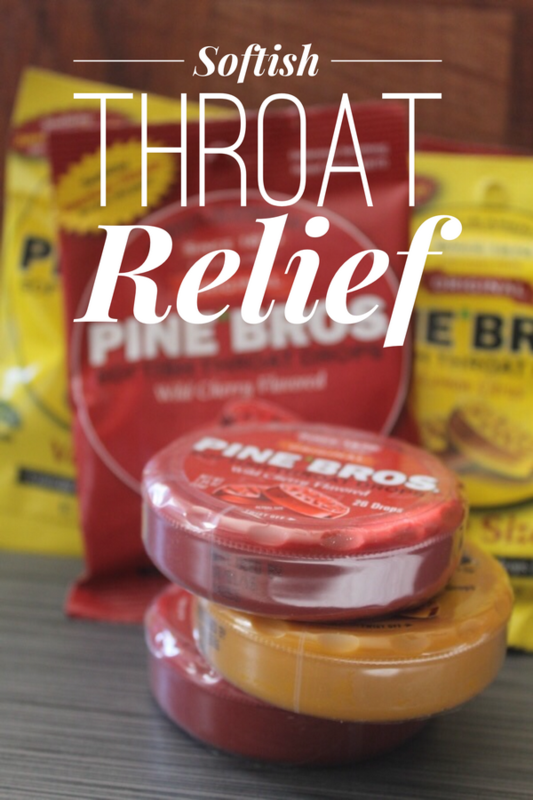 Find Pine Brothers at many national retailers. They are newly available at Walmart with an everyday low price of $2.97. They’re also at Walgreens! Visit the Pine Bros website to find a store locator and learn more. Follow them on Facebook and Twitter to keep up with news. Enter below for a chance to win a 12 piece variety case of our drops, which includes a mixture of all four flavors in both pucks and bags. That’s a lot of sore throat relief! I gargle with salt water a lot and drink hot tea. I use cough drops if I have any on hand. I also drink hot green tea. I use lozenges, hot tea with honey, or warm salt water. I drink organic green tea with raw honey! To sooth our sore throats, we have tea with honey, gargle and use throat drops.